Sunday I woke up to the familiar sound of big, gusty, fall winds. It was refreshing. The funny thing was that the wind was warm, not cool like it usually is this season. Outside is warm and sunny, the temperature in the high 20's. I look down the road and the grasses are all mown short and remain various shades of green; the vibrant dark green of a well fertilized early summer lawn to the lighter, softer colours of a suntanned late summer pitch. What I found interesting was that the leaves were changing beginning to crumple up and tumble down the street. Despite our summer weather, fall is almost here. During this short season (here in Edmonton that is) we find it an excellent time to clean up and prep properties for the winter freeze and more importantly, the spring thaw. Cleaning gutters, adjusting downspouts, sealing and coating exterior/interior walls, repairing windows, roofs, chimneys and the like. You can find detailed lists of fall prep online. Also with this time of year we contemplate the internal, mental prep needed to march into Q3. This is a great time to review your yearly goals, make sure you are on track to finish strong and adjust were needed. Turbo charge your portfolio. This side by side duplex with in-law suites is well located near UOA. Upgraded 2006 this property has front entrances for upper suites and back entrances to lower suites. 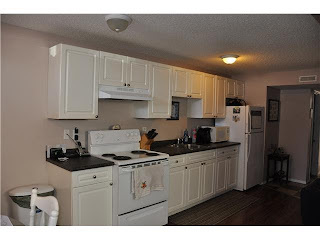 Upper 2BD units have been upgraded as well as the two lower 2 BD suites with new laminate, kitchens and bathrooms. You'll find a double detached garage, adding extra income. Spacious upper units shine with original hardwood, new fixtures and paint. Excellent location near the UOA in the mature area of Allendale. A short walk to neighbourhood park, Whyte Ave, hospital and UOA. Fast access to bus routes and Whitemud Drive. Comes complete with great tenants making this a totally turn-key property for you. Convenient south west west central area with easy access to transit and downtown. Inglewood is an established, sought after neighbourhood. Highly rentable; solid value and increasing rents. HUGE upside potential due to the great purchase price, strong economic fundamentals and the proximity of this property in relation to Edmonton's desirable growing core. EDMONTON - New statistics on Canada’s income levels and housing show Edmonton’s economy is one of the most successful and dynamic in the country, says the city’s chief economist. The concept behind "Dutch disease" — the idea that a resource boom is bad for the manufacturing sector — is entirely wrong, economist Stephen Gordon argues in a new report. Federal politicians have argued over Dutch disease as part of the debate surrounding Canada's oilsands and whether development should be slowed. EDMONTON - "As a serious-minded newspaper columnist, I woke up Wednesday with one pressing question on my mind: What does Neil Young think? I was desperate to hear his views on just about anything - twerking, Miley Cyrus's new video, the situation in Syria, Stephen Harper's hair, Anthony Weiner's sexting habits, the Eskimos' struggling offensive line, you name it. I need to know, because clearly, what the 67-year-old rocker and anti-oilsands activist thinks about the big issues of the day is of vital importance to the mainstream media. Why, just yesterday the Toronto-born music icon and green crusader was prominently featured in most major newspapers (including this one) after comparing Fort McMurray toHiroshima, the Japanese city that was obliterated by a U.S. atomic bomb on Aug. 6, 1945. Find South Carolina real Estate property for sale new listing home in South Carolina. 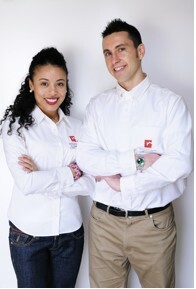 Get all detail at your home with Real Estate Professionals Wilkinson & Associates.